Paul Crooks (author and trailblazing genealogist with a specialist interest in Black history) will reveal his top tips to get you started. 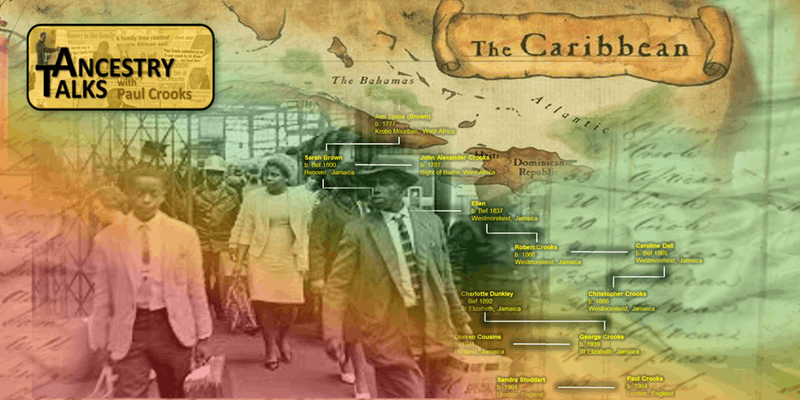 This talk will cover records specific to African Caribbean research as well as other materials of more general interest to the children of The Windrush Generation. Some guidance will be given on extending your research to islands in the Caribbean.